When Billy Graham died in February at the age of 99, commentators offered dueling perspectives. Was the world-famous evangelist “the last high-profile bipartisan evangelical,” as some eulogized? Or had America’s Preacher started a strain of Gospel-infused white nationalism that still exists today? Which Bible is more holy: the book or the app? The existing trend toward control of our democratic system of government by a small group of powerful and wealthy citizens and corporations was enhanced and solidified, false and illogical political claims have been rampant, ad hominem attacks on political opponents became normal and accepted, and serious allegations are being investigated about direct Russian involvement and interference in the electoral process. In short, he believes that our faith in the government, democracy, and the “basic principles of justice” have been threatened. It is a radical conclusion. Despite his obvious displeasure about the current state of political affairs, the former U.S. president saves his most forceful criticism—and his strongest appeal to take action—for the church. The problem is not that there are too many outspoken Christians in the Republican Party. The problem is there are too few outspoken Christians in the Democratic Party. We need more Jimmy Carter’s in the Democratic Party. Democrats who are not ashamed to speak about their Christian faith and values. As a former long-time Democrat for more than. 30 years (I'm now 56) I reluctantly became a moderate.Republican several years ago. 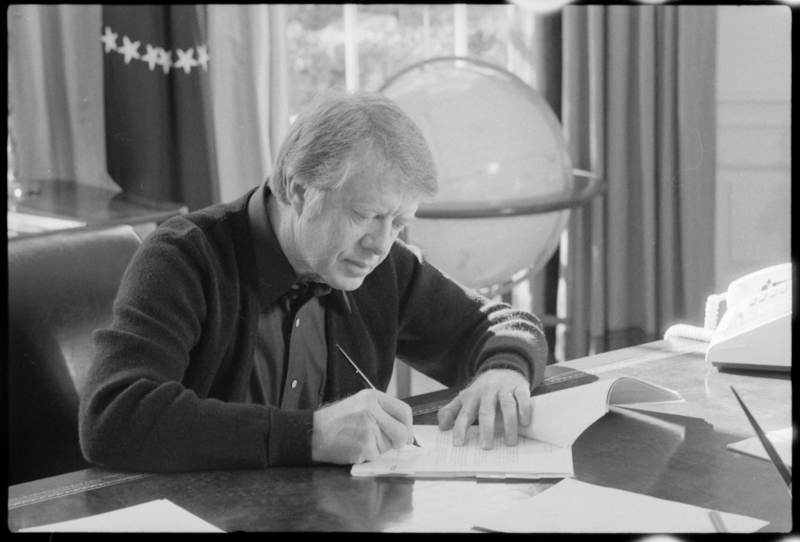 However, as one whose pro-life views goes beyond opposing the violence of legal abortion to opposing capital punishment and supporting stringent gun control laws, I agree with Jimmy Carter that "civil disobedience is in order when human laws are contrary to God's demands." This was true when Rev. Martin Luther King and civil rights advocates refused to leave " whites only" businesses to achieve integration, as well as when pro-life men and women engaged in "rescues" (sit ins) at abortion centers to save unborn human beings. This article also appeared in print, under the headline "An American Journey," in the Spring Literary Review 2018 issue. Betsy Shirley, of Washington, D.C., is associate editor of Sojourners magazine.